Anxiety over health of U.S. House of Reps Majority Whip – Royal Times of Nigeria. The health condition of Steve Scalise, the U.S. House of Representatives Majority Whip has turned from “fair” to “serious” after he contracted an infection following a gunshot wound. Reports say Scalise had been re-admitted to the intensive care unit of the MedStar Washington Hospital Center, after doctors at the hospital downgraded his condition. The hospital in a statement said it would provide an update on the legislator’s health condition on Thursday. Scalise and four others were hurt when a gunman opened fire on a GOP baseball practice in Virginia on June 14. The gunman, identified as James T. Hodgkinson, was fatally shot by Capitol police. 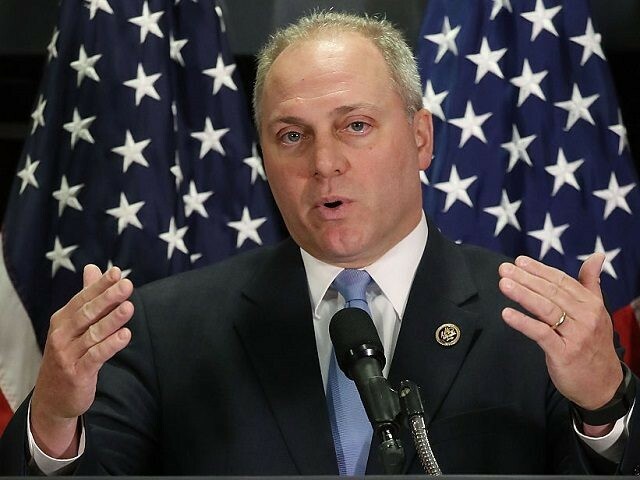 Doctors had anticipated that Scalise would suffer an infection related to the shooting. Sources close to the congressman indicated that they had been told from the start that the Louisianan’s recovery would have ups and downs.